I’m sure many of us can remember the first time we ever saw the Teletubbies way back in the 90’s. The adorable multi coloured foursome with television screens in their tummies living in Teletubby Land of rolling grass hills, rabbits and Baby in the Sun made a huge impact on both the very young, and not so young when first aired. Tinky Winky, Dipsy, Laa Laa, and Po along with Noo-noo their vacuum cleaner, soon became firm favourites around the world and their names and catchphrases have become rooted in to our culture ever since. 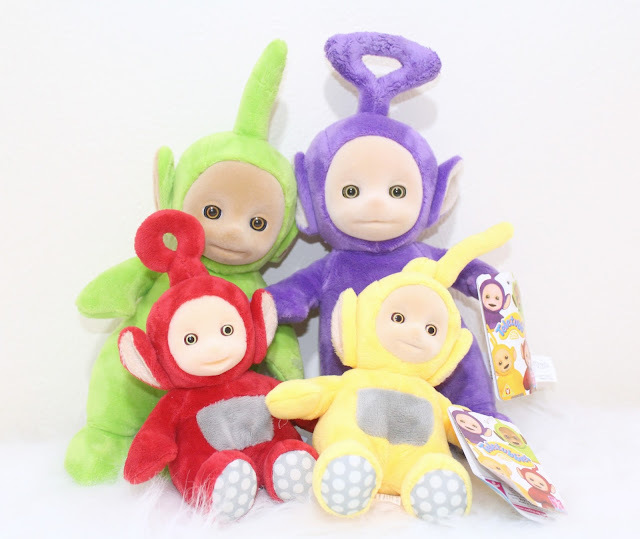 Well now these lovable childlike cuddly characters are back, and we have been lucky enough to have been sent some of the new Teletubby toys to review! With the new toys, not only can children recreate some of their favourite scenes from the show, but whole new adventures with their fun filled friends. 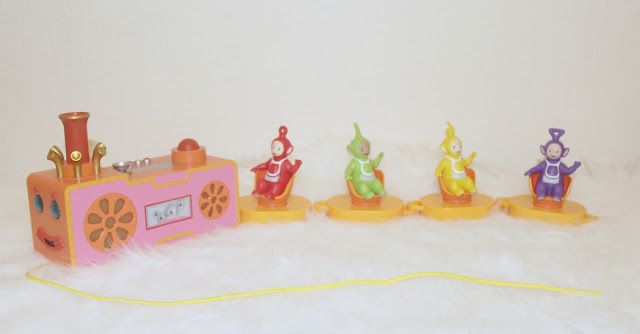 Before I start on the toy review, let me say that the Teletubbies have for a long time been favourites of Tyne’s. Whether it’s the language, the characters themselves or the simple innocent fun and adventures they have, he loves them. Despite the episodes Tyne has watched being originally aired from 1997 onwards (now I feel old), to our little boys they still raise huge giggles and seem as fresh as ever. Upon opening the box, with Tyne we were presented with some wonderful, colourful, very high quality toys. Amid whoops and cheers, we had a two year old who was so excited he could barely contain himself! The first toys Tyne opened were the plush toys of the four main characters, some with speech when their tummies are pressed. The first time Tyne realised this, his face lit up and he cuddles them so much I’m amazed they still have stuffing in them! Another huge source of delight is the remote control Noo-noo. With his former blue colour now being a vibrant orange, this simple, fun drive-and-steer toy is easy for a young child to use and control. With a steering wheel control, the child can drive Noo-noo, decide which sounds he makes and music he plays. 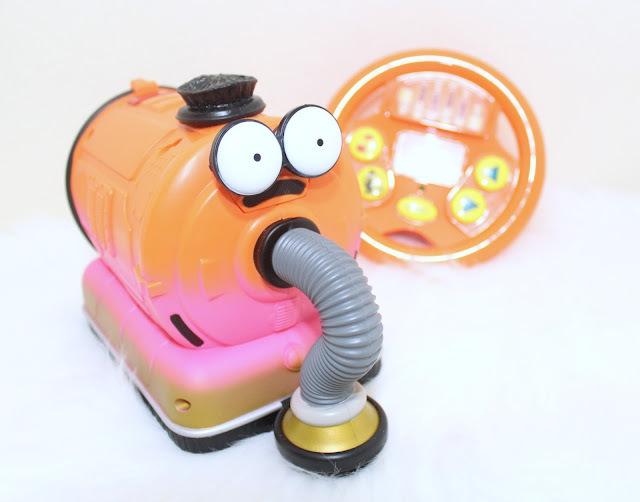 The wheel even has a turbo button for when Noo-noo really needs to get a move on. 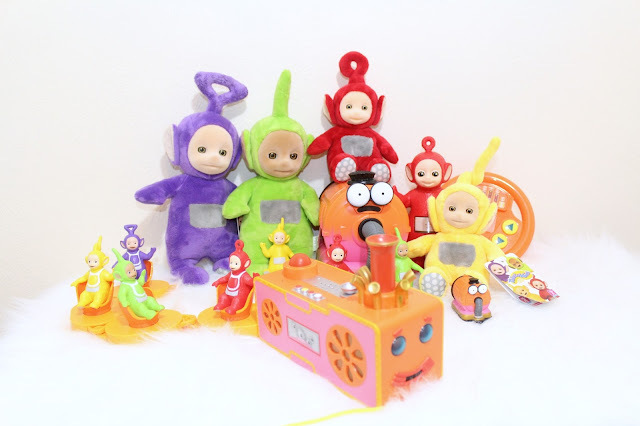 The Teletubby Custard machine is a brand new pull along toy created for the new series. When towed behind a child (wherever he goes, and even up the stairs in Tyne’s case) the four Teletubbies spin along behind in cup seats behind their musical custard machine. Yet another toy that has already become a firm favourite. Whilst sat with his baby brother, Noah, we watched Tyne introduce the new toys and tell Noah (who is 9 months old) all about the different characters. Even at such a young age Noah seems to have found a favourite in the plush Po and will cuddle her like crazy and seems to accompany us whenever we go out. So eighteen years after they first hit our screens, the Teletubbies have a whole new generation as an audience, and two very happy little boys to count as new fans.